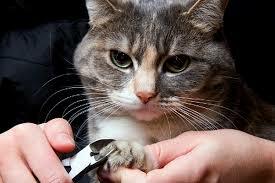 Most cats actually don’t need their claws to get trimmed, specifically if they’re outdoor cats. Clipping their nails may be so inappropriate, because these cats need their own claws for climbing and defense. Moreover, you won’t need to worry about trimming your cat’s nails if it spends a lot of its time outside the house. Rough surfaces outdoors tend to act as a natural file, which trims their claws. However, elderly and indoor cats might need their nails trimmed each few weeks. This is what prevents the claws growing inwardly into the pads, thus causing infection and pain. In this article, you will get to know the proper way on how to clip your cat’s nail. Read on to learn more! Why is it important to trim your cat’s nails? It is always much better to trim the nails of cats, rather than just having them removed surgically. 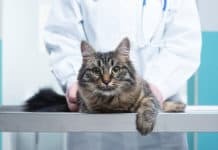 Some veterinarians may refuse to do if for some ethical reasons. A cat cannot defend itself from some other animals or even escape up a tree having no claws. Sharp cat nails may shred drapes, furniture, and screen doors. The claws or nails are formed from keratin. This is the same substance, which forms the hair. They continuously grow just like the human nails. Moreover, there are 5 claws on every fore paw, yet only 4 on every hind paws, which will need clipping. Ingrown nails may result when the nail grows allover in a circle and pricks the foot pad. The multi-toed cats are especially susceptible to this particular syndrome. If it is not treated, this may be painful for the cat, and the paws may get infected. 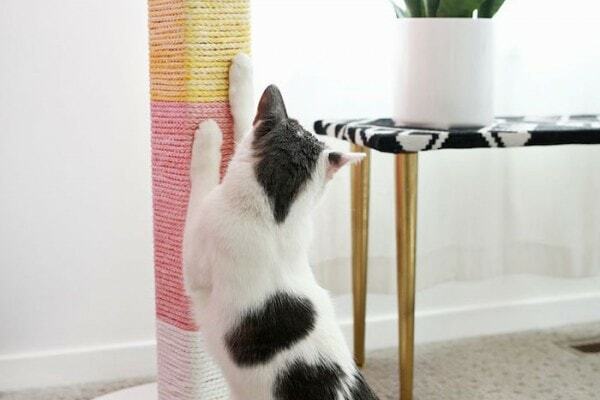 The cat scratch posts, as well as platforms aren’t always sufficient in keeping the cat’s nail trim. Further, they will not do any good at all in case the cat does not want to use them. The long nails of a cat may be caught on various things at home. Before you start trimming the nail of your cat, assemble all the supplies that you will need first. You can purchase a pair of clippers from the pets store. Further, you also need to have styptic powder or a gel that’s handy in case bleeding happens. You can also have some cat treats near you, so that your cat get some positive bolstering if the procedure successfully ends. Moreover, a large towel may also be beneficial in holding a struggling cat steady and help in keeping it all calm. Ensure that you have a nail clipping tool. Of course, you need to be knowledgeable on how to use it properly. This isn’t an activity, which you need to rush. 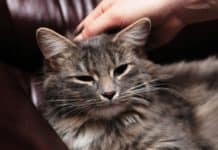 You may be able to prepare your cat for the nail clipping by spending one week gently massaging its paws and getting it used to having its nails and paws touched. Place a finger on its food pad and then push the claw. This is for you to see through its fur. This may take much greater manual adroitness when you have a longhaired cat with furry feet. Start slowly. You cannot complete an entire nail clipping in just one sitting. When your cat looks so stressed, you can try to do just one paw every day, instead of all at once. Just trim the white tips of the nail. You should never clip the darker part of the nail. This is closer to the food pad, which is painful when hit. Furthermore, the thin vein that runs down the nail is the nail bed and commonly, it is visible. It is just important to snip a small portion of the pointy end of the nail, so that it becomes dulled. It is always much better to clip just a bit, instead of cutting excessively. If you’re really uncomfortable in clipping the nails by yourself, you can opt for a pet groomer or clinic. 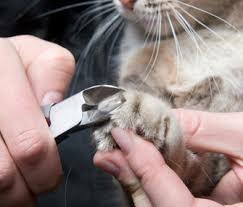 You can also opt to pay your vet a visit and let him or her demonstrate the proper way on how to clip your cat’s nail. There are times that nail clipping is much easier to achieve with two people involved, rather than just one. 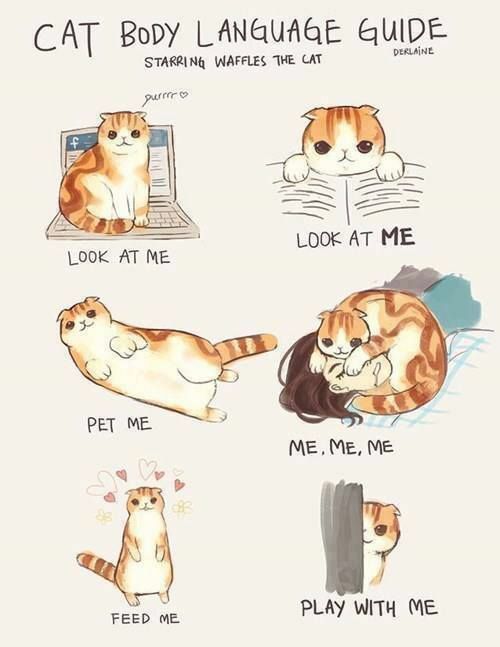 Have a person keep the cat still and the other one to trim the nails. Why do cats scratch the household systematically. They’re actually not trying to make their nail sharper. The cats have sweat glands in between their paw pads. By scratching, they’re actually leaving their scent and hence marking their own territory. 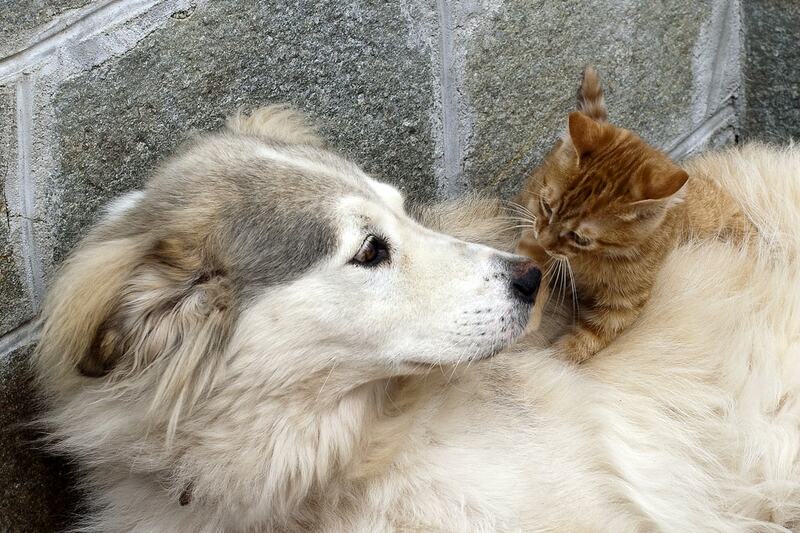 Whatever you do with your cat, it is advisable that you first ask our vet for some advices. 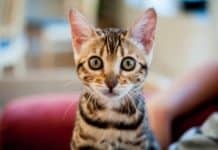 Previous articleWays On How To Give A Cat A Bath –And Survive? Next articleTools For Cat Grooming: What Will You Really Need?